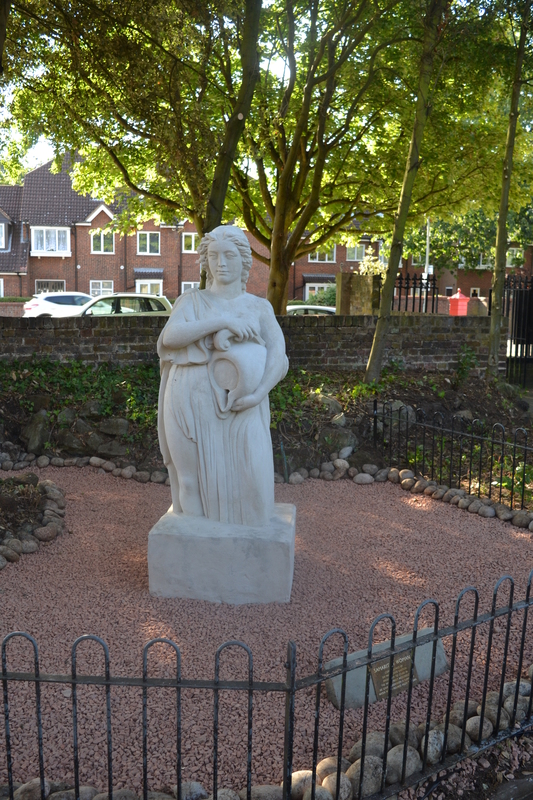 The Samaritan Women sits within the grounds of Lowewood Museum in Hoddesdon and is a significant part of Broxbourne’s heritage. The limestone statue dates from 17th Century and stood as a fountainhead in Market Place after Sir Marmaduke Rawdon installed a conduit from his estate (Rawdon House) to Hoddeson Market Place to provide water for the townspeople in 1631. Water poured from the pitcher in her arms into a small pond below. Over the years the statue has been located in various places, taken into storage and restored until in 1986 it was relocated to the gardens of Lowewood House and stands in the Museum grounds today. It has recently been cleaned and restored to help conserve this wonderful piece of history.